This product is designed, engineered and all R&D work done in house @ Retrofication, we use all top quality parts, which includes a CNC laser cut & folded bracket for a perfect fit every time. This very conversion is now the standard in MK1 conversions which we have now been fitting or supplying for many years, so you can be rest assured that this has not been fashioned or copied by some one with little imagination in their cave! 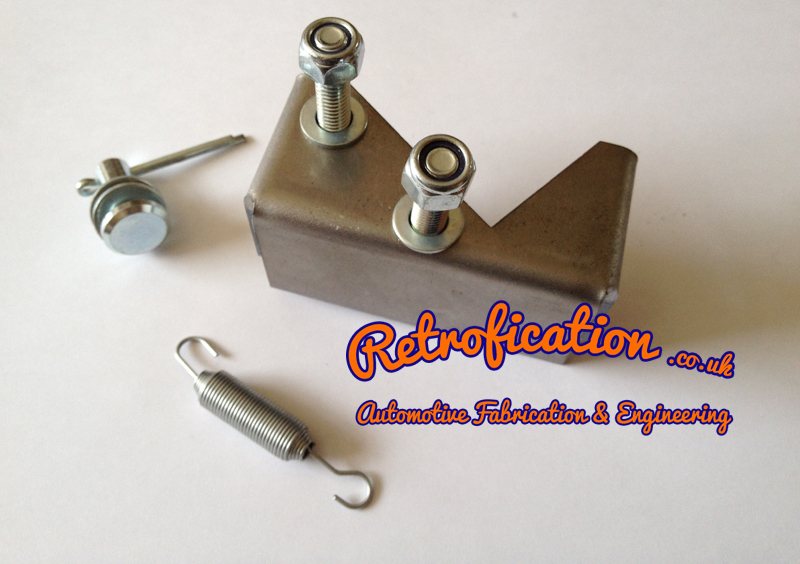 The weld on bracket & parts are the same that we use in our exchange service, so if you would prefer that along with quality fittings and cylinders please see our other listing or ask us for advise. 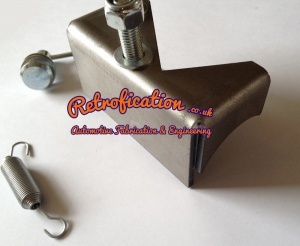 If you would prefer a tailored option or you would like us to weld the bracket to your column on our jig for a perfect fit then please get in touch, When we carry out the positioning & welding we can guarantee that the pedal will be smooth in operation and will work through the full travel of the pedal just as if it were factory fitted!